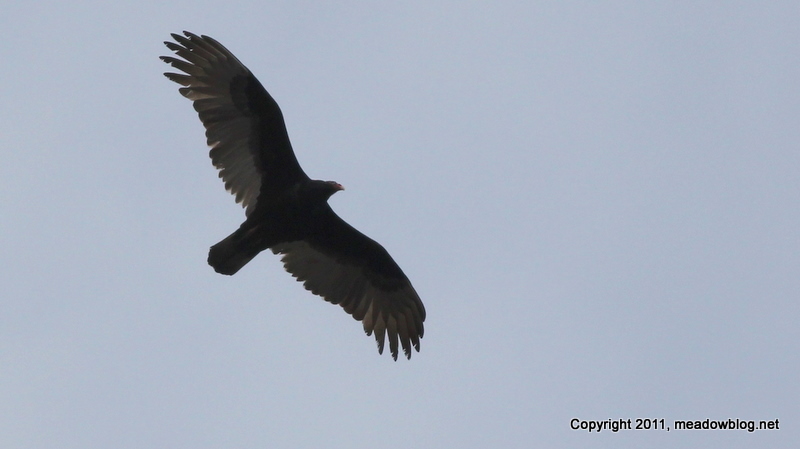 We saw this Turkey Vulture over Disposal Road late last week. Curiously, had not seen one over Disposal Road in recent memory. Our diurnal raptor species list is now a dozen: two accipiters, three buteos, three falcons, Bald Eagle, Osprey, Northern Harrier and Turkey Vulture. Not bad for one stretch of road. , Northern Harrier and Turkey Vulture. Not bad for one stretch of road.